· A home where every person belongs to God and so to one another. 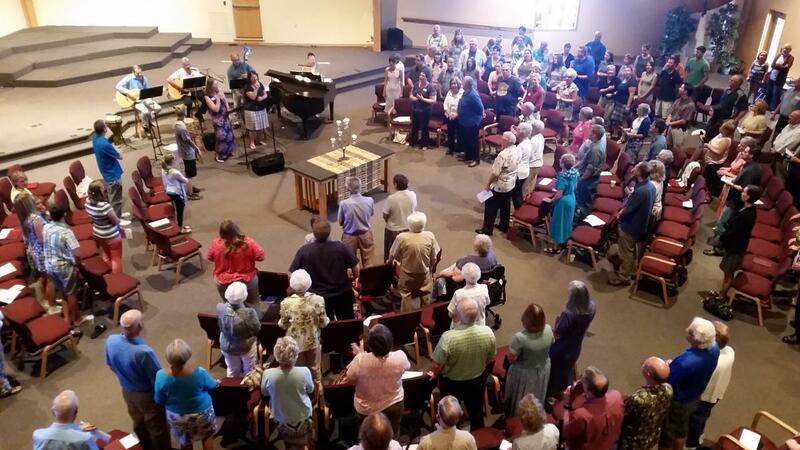 · A transforming community of faith where each discovers and responds to God’s call. PCHUM was founded in 1962 as a new church. It was started because, Portage First Methodist Church, the Kalamazoo Methodist Metro Union, and the Kalamazoo District worked together to begin a new congregation on the “frontier” between Portage proper (the center of town was what is now Centre St. and Westnedge Ave.) and Kalamazoo.The congregation met first at North Middle School.The charter membership was 85 and the first budget was $13,141. The first building on the current property was erected in 1966, with additions completed in 1984 and 1997. Today, the congregation is fully “regional,” drawing worship attendees and members from a 30 mile radius to be a part of a church in ministry to build the lives of individuals through vital worship and spiritual growth.